Two more retail cannabis outlets in Vancouver have received the green light to open for business. 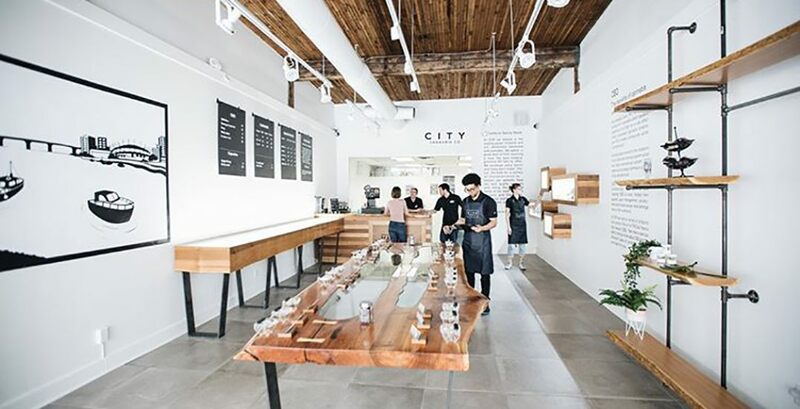 City Cannabis Company, formerly known as Vancity Weed, has received two business licenses from the City of Vancouver, less than two weeks after Evergreen Cannabis Society received theirs. They’ll be re-opening their popular downtown location, located on 610 Robson Street, as well as a brand new location that will be located in South Vancouver (7289 Fraser Street). A well-known name in the cannabis community, Vancity Weed has been operating for almost four years. They made the decision to rebrand into City Cannabis Co. less than two years ago, in order to better display their professional status. Wetulani says that the application began around August of 2018 and was a four to five-month process that he describes as a learning experience. Even so, he credits the speedy turnaround in their application to being organized and by the book. And although they’ve just received their retail licenses, the City Cannabis team — which includes close to 40 staff members across both stores — is eager to get started. Their newest location, located on Fraser and 57th, in South Vancouver, will be opening on Saturday, January 5 at 10 am. Their Robson location, which is expected to receive high amounts of customer traffic, is expected to open midway through next week.